The College will initially provide training in Group Facilitation. Participants on this programme will have the opportunity to gain the skills, knowledge and attitudes necessary to engage with group facilitation processes within the counselling/psychotherapeutic fields in addiction. 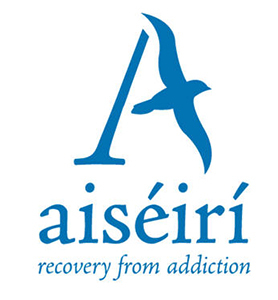 Aiséirí is one of Ireland’s longest established addiction treatment services and it operates out of four centres of excellence. With a high success rate for lifetime recovery, Aiséirí has changed thousands of lives, not just those of addicts but those of the families and loved ones that also suffer because of addiction. This module will allow staff to enhance their knowledge of the practice of facilitation skills. The course is, in fact, one of the modules from the B.A in Counselling Skills and Addiction Studies programme that is offered by the Irish College of Humanities and Applied Sciences. The B.A is awarded by Quality and Qualifications Ireland (QQI) and where individual modules are completed (as in this case) students who successfully complete the module, will be awarded a Single Subject Certificate by QQI. The rationale for the approach, is that the combination of experiential learning, which is a fundamental requirement of Group Facilitation, as well as the use of the technology will support your learning and provide you with a rounded and quality assured learning experience. It is expected that you will engage with some podcasted lectures as well as 18 hours of real time teaching which is normally delivered over three days. Online teaching and learning material will be made available at the commencement of each week and attendance is required (mandatory) for the three days. A full calendar is also available on our student portal, so please refer to that for dates and times of teaching as well as the means of teaching and venue as appropriate. For the web-based asynchronous learning, lectures may be taken at your own time and will be available for re-viewing throughout the Module.